We offer you exquisitely designed and engineered to perfection SPMs. These SPMs are high productive and very accurate feeding and cutting of Derlin and PTFE tubes and rods, pipes & sleeves, Mattel stripes, etc., with pre-determine length and quantities. Suitable for automotive and engineering industries and rubber industries etc. Backed by our streamlined infrastructure, we manufacture of Rubber Tube Feeding and sizing by automatic feeding and cutting machines. No manpower is required for this operations. Our range of machines are acknowledged for their high performance, sturdiness, durability and low maintenance. 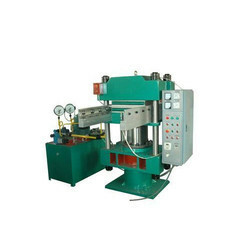 These machines can also be provided as per the specific application needs of the clients. Looking for Rubber Tube Feeding ?